Latter-day harp men talk about Big Walter’s tone, emulate the conversational styles of both Sonny Boys, admire the power and playfulness of Cotton, and dig Junior Wells’s attitude. Some may work on Jimmy Reed’s high-end approach, or give lip service to Snooky Pryor or Louis Myers. But Marion Walter Jacobs was The Man, the player whose stylistic innovations revolutionized the way the instrument was played, and whose technique, taste, and tones continue to baffle and inspire musicians more than 60 years after his debut, and nearly 45 after his untimely death. 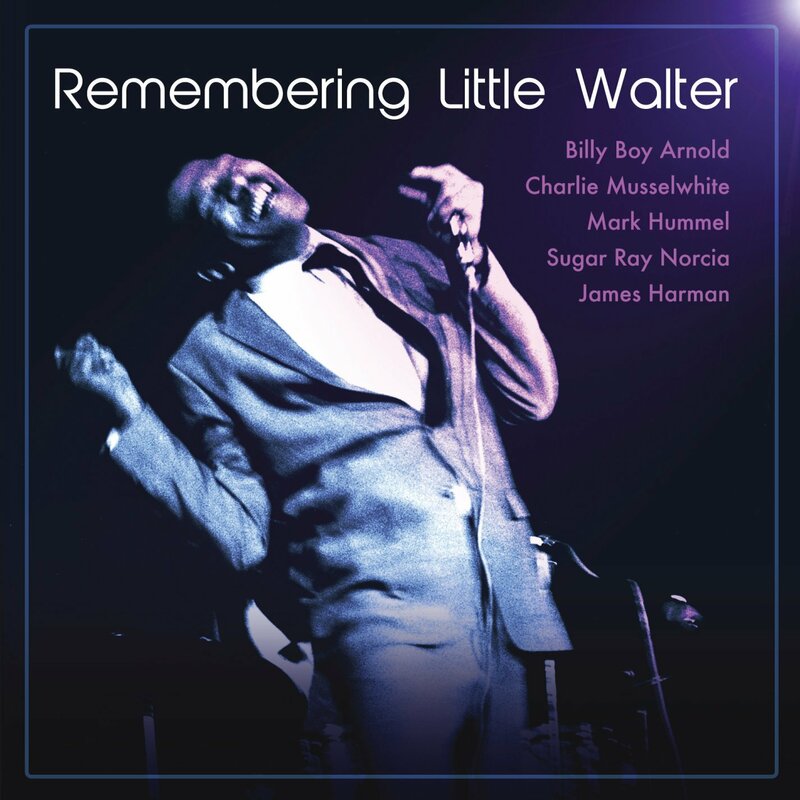 Little Walter’s influence is so pervasive, therefore, that a certain amount of sarcasm seems almost a requirement when confronting a blues harp CD named Remembering Little Walter. What are the odds? At some level, after all, nearly every record prominently featuring harmonica blues could bear that title. Built entirely from Walter’s catalog, many of the songs on this album have been recorded countless times already (and chances are that, if you are like I am, you do not care if you never again hear “My Babe,” though you undoubtedly still thrill to “Can’t Hold Out Much Longer”). What, then, distinguishes this release? Enough that it is nominated for two Blues Music Awards, in the Album and Traditional Blues Album categories. After years of organizing his Blues Harmonica Blowout tours, producer Mark Hummel has some practice at assembling successful packages, practice that carried over to this show, recorded at Anthology in San Diego. Start with the band. The superb rhythm section is made up of June Core (drums) and RW Grigsby (bass). The guitarists are well experienced at working with harmonica players: Nathan James (with James Harman and Ben Hernandez) and the legendary Little Charlie Baty (with Rick Estrin, in the Nightcats). The unit interprets the sounds originally laid down on Checker by the Aces and Robert Lockwood & Luther Tucker with swing, subtlety, and deep understanding. The singers/harmonica players under whose names Remembering Little Walter was issued are an enviable all-star assemblage: Hummel, Harman, Charlie Musselwhite, Billy Boy Arnold, and Sugar Ray Norcia. Together they represent something like 50% of any reasonable person’s list of pre-eminent living harmonica instrumentalists, and the environment, as one might expect, makes for committed and spirited performances. Sugar Ray’s intense “Mean Old World” is dynamite, as is Musselwhite’s take on the uptempo “One Of These Mornings,” a relative rarity, which also features a daredevil guitar break. Tone and dynamics are at an impossibly high level throughout–Hummel and the band dial in a perfect late-night mood on “Blue Light,” and the way Harman drives “Crazy Mixed Up World” hard before breaking it down to a whisper at the end is masterly. Billy Boy’s “Can’t Hold Out Much Longer” is splendid on every level. Although that recap covers only about half of the program, be assured that the rest of the songs (each performer sings two) are excellent as well. The closing number, “My Babe,” features all five marquee players (not to mention Baty, who started on harmonica before becoming universally recognized as a genius guitarist) blowing inspired solos on their horns. Chances are that you have already made the decision to buy Remembering Little Walter. You will not regret it. I received the review copy of this CD from the label.